Looking to make a 5-year commitment. A hard worker. Stroud Homes will give you an opportunity to build and grow a lifestyle enhancing, sustainable business, however, it will take you nothing but hard work (especially in the first 3 -12 months). A qualified builder and/or hold the necessary licenses to operate as a builder. Understand the highly volatile nature of the building industry, the challenges this represents and the premium returns that come with meeting these challenges. Able to commit yourself full-time to the business rather than being an absentee investor. Drawing on a successful career or business in the building game. Able to use the effective goal setting habits that helped you get where you are. 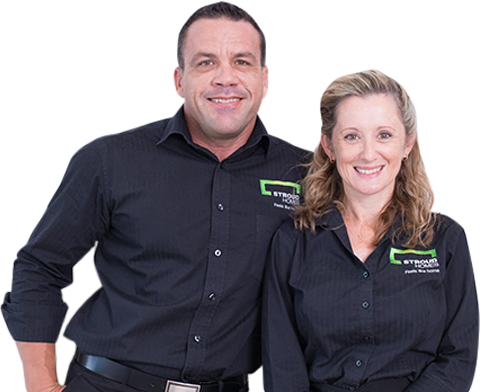 Prepared to do whatever it takes to build your Stroud Homes Franchise. Enthusiastic about your future and take a hands-on approach to creating success for yourself. Aspiring to become a quality builder and leader within a community of quality builders operating under a quality name. Whilst the current Stroud Homes operation is successful, the start of any new business is a risk and success is not guaranteed. The success of your Stroud Homes franchisee will depend on many factors not the least of which will be the franchisees commitment and ability in key areas. Meet some of our builders and find out what it is like being a Stroud Homes franchise owner.